6. Make sure you’ve selected ‘Code’ (as in the box above) – now’s the time to paste what you copied from your Opinion Stage dashboard earlier (or use CTRL + V to do so). After you’ve done so, click ‘Update’. You’re done! Place it wherever you like by dragging the container there. 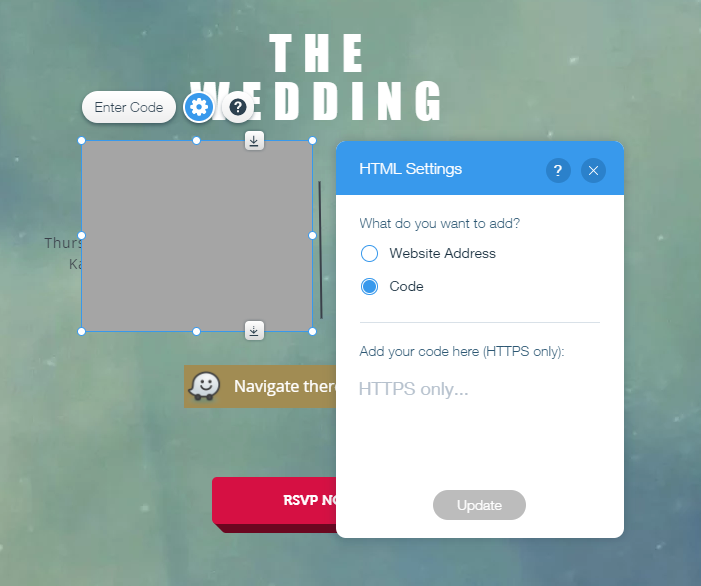 Try to grab your user’s attention: your Wix quiz should include engaging images. There is usually a lot of focal points on a Wix-designed site, meaning your Wix quiz should be clear and inviting to your user’s eye. 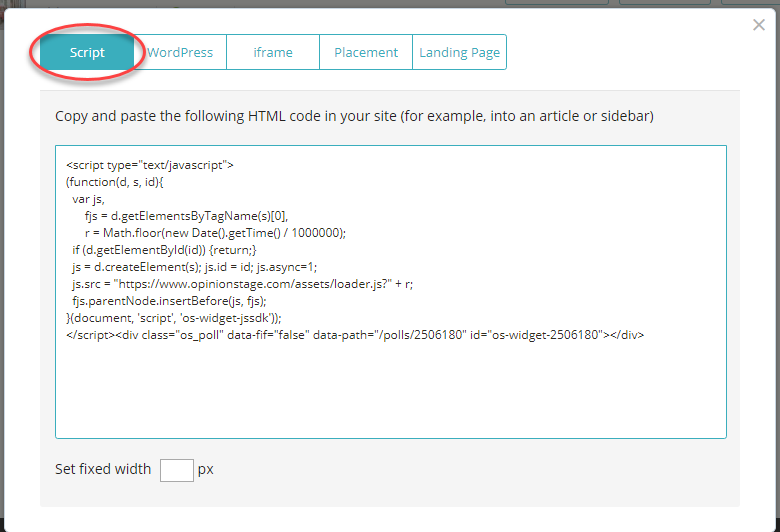 Make sure your Wix quiz is clearly related to the content you’re adding. Irrelevant quizzes confuse your user, and could even cause them to leave. Keep your Wix quiz simple and straightforward – the best quizzes add user value by being subtle. Clickbait titles or outrageous images are a definite no-no.. 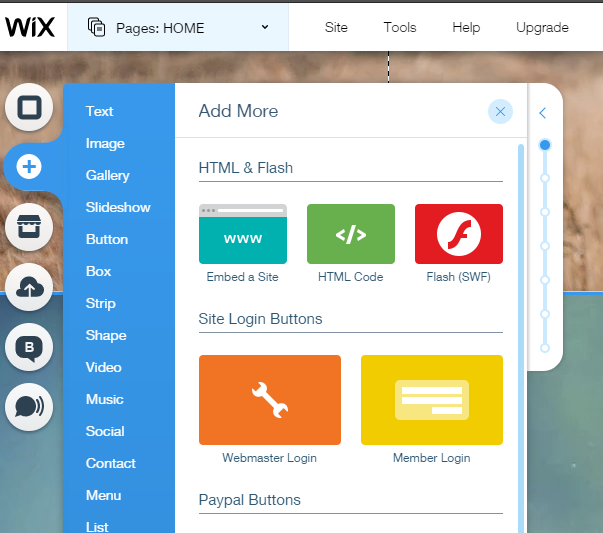 Adding a Wix quiz to your site is an engaging and user-friendly way to upgrade your site’s experience. Your users will interact with your content, and you can reap the rewards (and the data!) this brings.